I was given a press packet from the store BLONDE, which is "a retro and vintage household goods store." 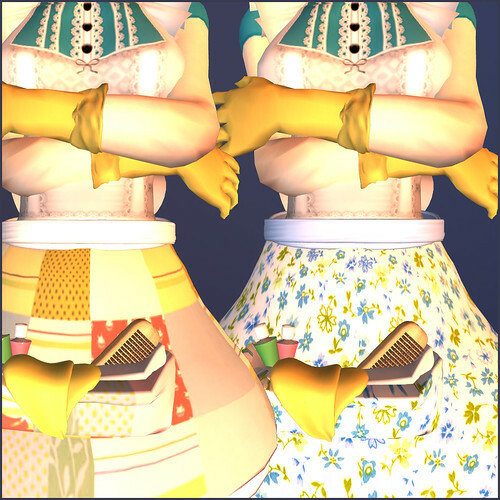 One of the pinafores will be free on opening day, which is Sunday March 22nd at 2PM SLT. 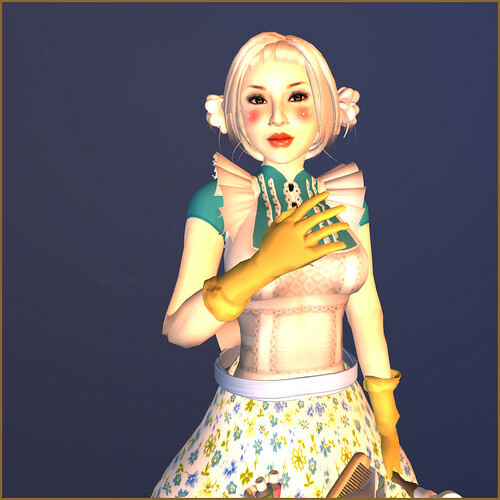 The press notice reads: BLONDE already consists of retro household goods for the average 1950 kitchen and lounge. The Spring Launch promises extending the already colourful range of furniture, along with some discounted items. 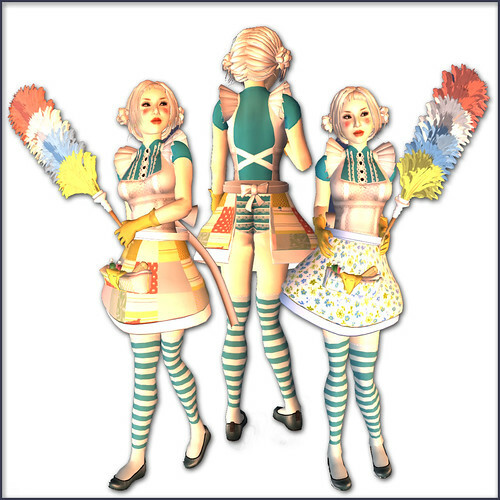 I'm wearing a cute featherduster, rubber gloves, and two kinds of aprons from this store. Freebies and discounted items available from 2pm onwards. SLURL HERE. Go check it out! Please to be defining "Average 1950 kitchen". the imaginative one that she's created in sl? iunno.